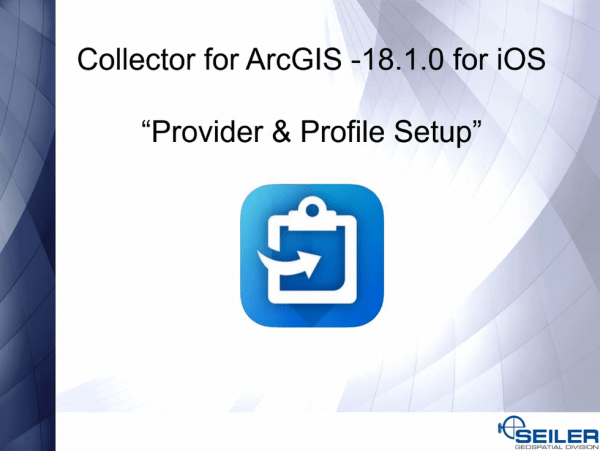 In December 2018, Esri released a new version of Collector for ArcGIS 18.1.0 for iOS. Click here to “Watch our YouTube video“ on how to setup the “Provider and Profile” for Real-time Data Collection in Collector 18.1.0 for iOS. This video will use the Trimble R2 GNSS Receiver as the example. These same steps can followed when setting up the Trimble R1. The Trimble GNSS Status App is no longer required to set up Real-time Corrections when using 18.1.0 for iOS. The Trimble GNSS Status App is only needed for the “Classic” Collector for ArcGIS – Android and iOS. Esri and Trimble worked together to incorporate “Real-time Configuration Provider and Profile” into this new version of Collector 18.1.0 for iOS.